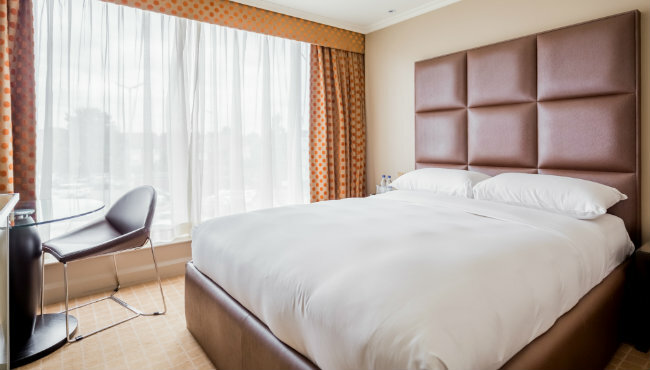 The 464 rooms and suites at Radisson Blu Edwardian, Heathrow have a warm classic ambiance with traditional mahogany furniture, rich English fabrics, crisp cotton bed linen and Vi-Spring mattresses. 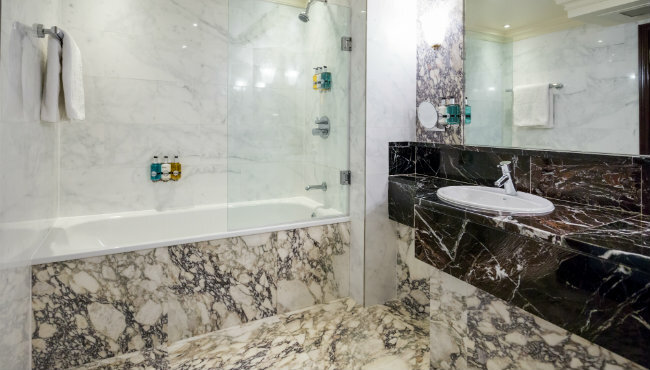 Bathrooms are clad in Sicilian carrara marble with Jacob Delafon bathware and feature premium skincare brand REN toiletries. All bedrooms have Samsung Smart TVs. 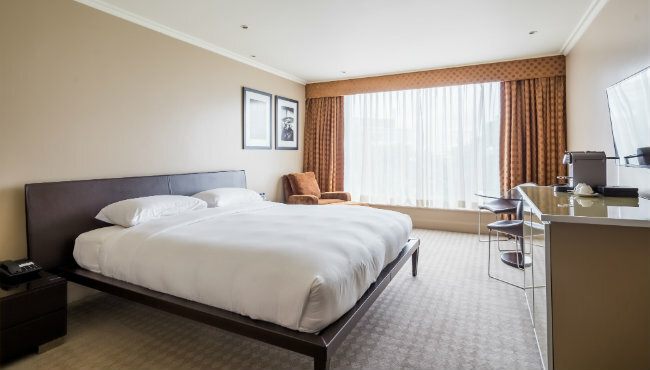 We have Samsung Smart TVs in every room, allowing you to play and watch your own content through the screen from your mobile device or choose from a range of 300 complimentary TV, film and music channels in various languages. 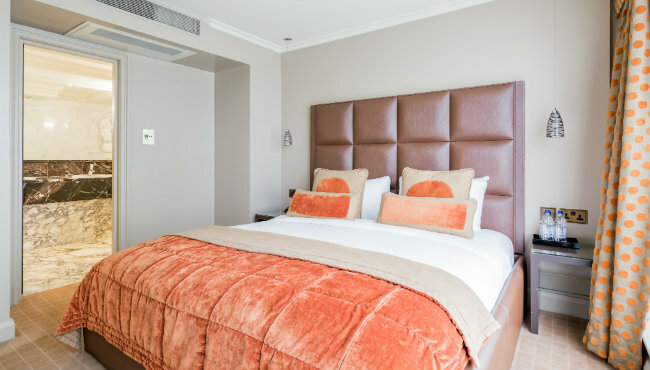 Within each room you will also find a mini fridge, in-room safe, iron, tea and coffee making facilities, modem connection, air conditioning and complimentary Wi-Fi. Travelling on business? 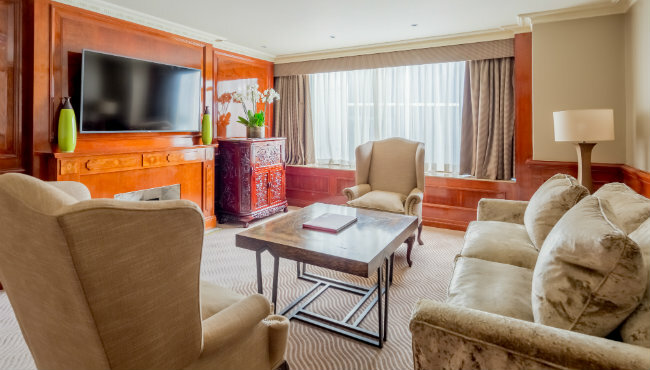 Our Business Class rooms make doing business a pleasure. Cutting-edge technology is featured in every room, while interiors bring together a blend of contemporary, classic style and comfort, with espresso machines for your convenience. An unrivalled choice of modern meeting rooms and a range of stylish bars and restaurants across London create the perfect environment for all your business needs. Find out more about our Business Class rooms. 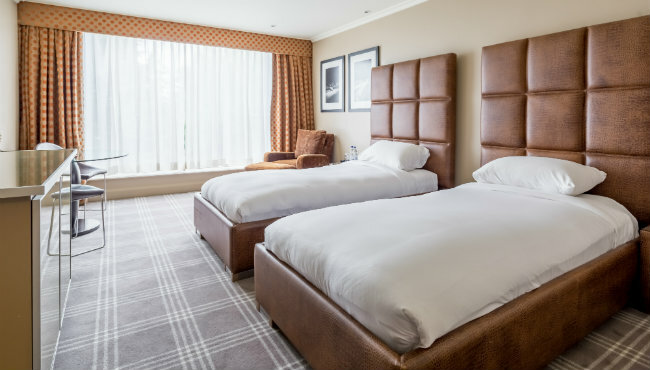 King or twin deluxe bedrooms are more spacious, with a king size bed or two single beds. 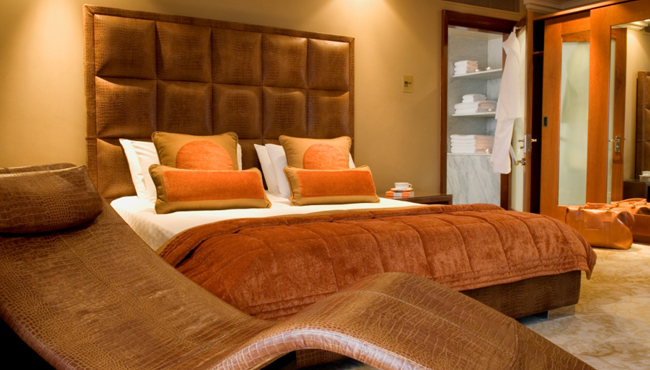 Within each deluxe room you will also find a seating area, bathrobes, slippers and umbrella. Enjoy more space for greater comfort. 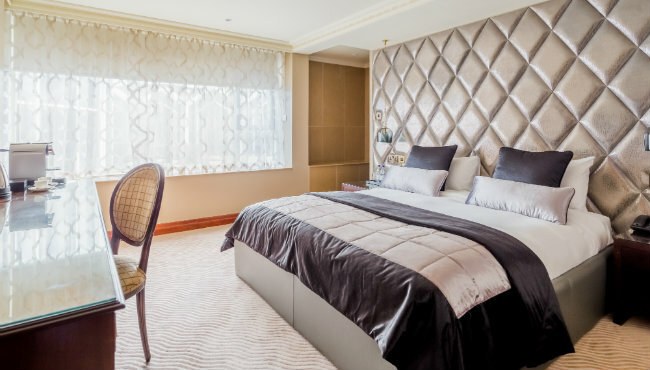 Find out more about our deluxe rooms. 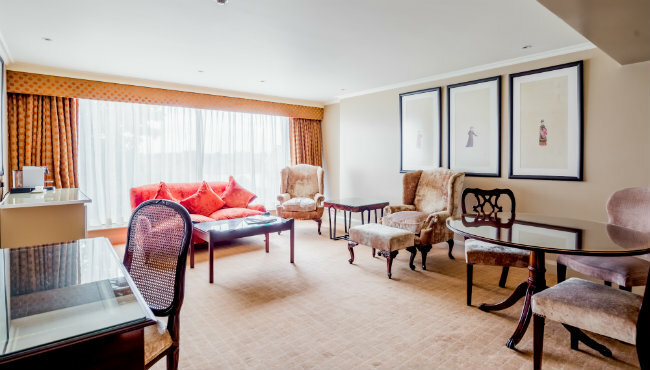 Generously spacious and contemporary in style, our suites feature a double or king bed, separate lounge area, luxurious bathrooms, coffee table and tea and coffee making facilities. Some feature a separate room. Complimentary Wi-Fi is also included. Modern deluxe suite with a separate lounge and dining area with a fireplace. 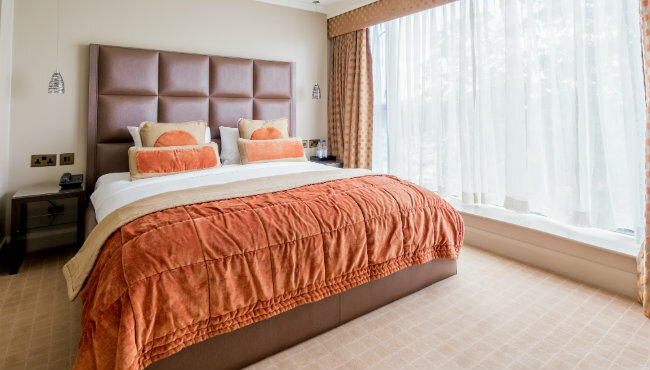 In the bedroom you will find a kingsize bed and large sliding wardrobes. The bathroom has a freestanding bath, double sinks and separate shower. 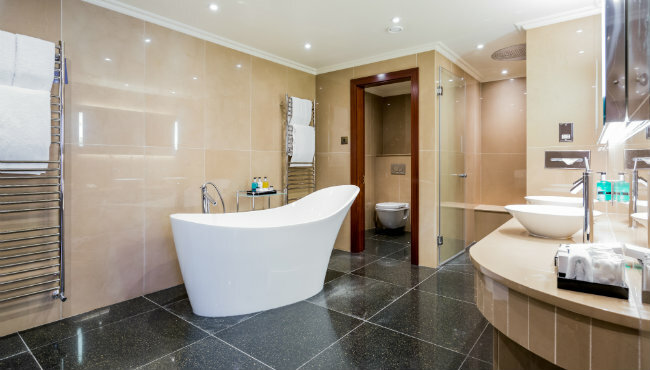 A traditional luxury suite with a spacious lounge and dining area, oversized bath, double sized shower enclosure and double sinks. The room also offers a separate WC and a dressing area. Our breakfast has only the best ingredients including a full English breakfast buffet, cereal station with several different cereals, dried fruit, seeds and nuts, cold meats, smoked salmon, pastries and fresh breads, fresh fruit juices and much more. 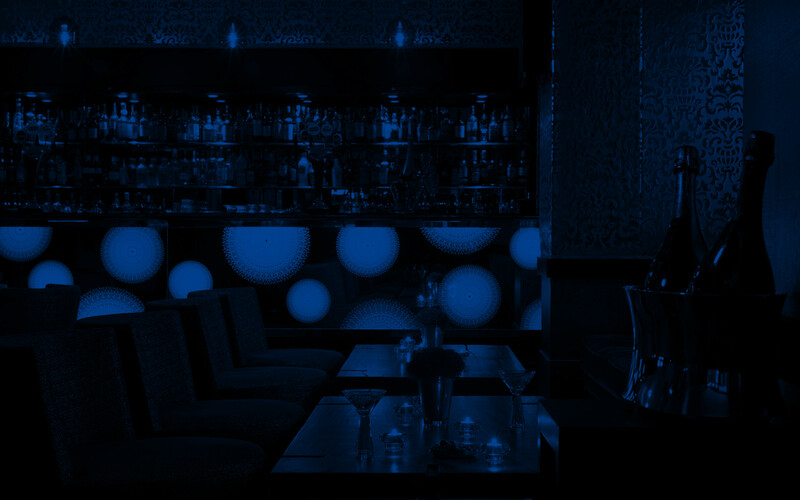 Check-in from 3pm onwards and check-out by 11am. 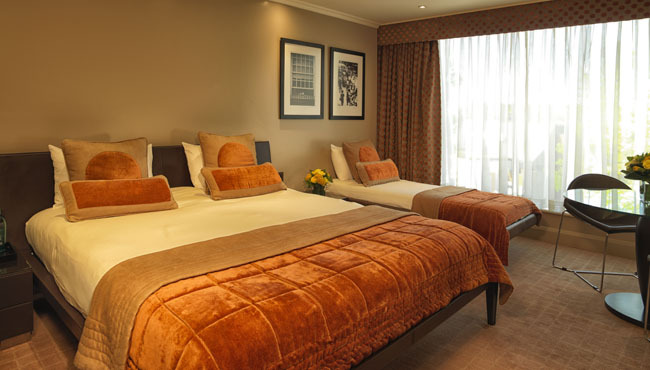 If you wish to check-in early, we will endeavour to accommodate you, subject to availability. Late check-out is also subject to availability. Please feel free to leave your luggage with the concierge.